Jewellery is something that I love to gift to friends and family, whether it's for their Birthdays or a big celebration like Christmas, and I often jump at the chance if there's an option to personalise it. It turns an already lovely gift into something extra special and thoughtful! 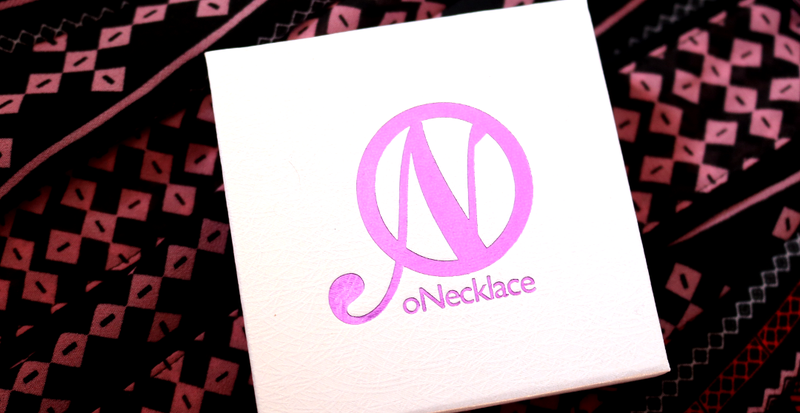 Judging by the number of people that I know who cherish their personalised jewellery, I'm not alone in appreciating this concept, so I was over the moon when oNecklace got in touch with me to ask if I'd like to review one of their pieces of jewellery. oNecklace is an online retailer who specialise in high-quality, personalised jewellery and they have a huge range of products to choose from in a variety of materials such as Sterling Silver, 24K Gold Plated, Rose Gold and Cubic Zirconia. There are rings, necklaces, bracelets, earrings and jewellery sets, all of which can be personalised from a selection of options, and they're a popular go-to site for Carrie style name necklaces. 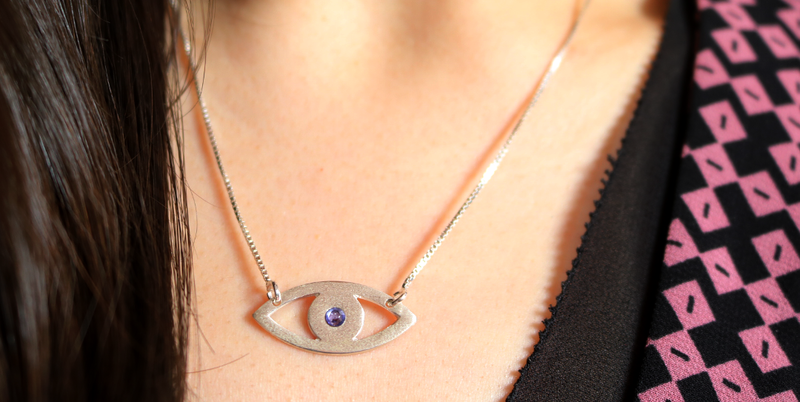 After a good browse through their website, I decided to choose the Evil Eye Necklace because I've been wanting one of these for a while now. The 'Evil Eye' is an ancient concept that crops up in many different cultures around the world, especially in West Asia and usually has the same meaning. It's often described as a "curse or legend believed to be cast by a malevolent glare, usually given to a person when they're unaware to cause them misfortune or injury". To ward off this unsuspecting 'Evil Eye', people wear talismans that are decorated with some kind of eye insignia to protect them. Wearing an eye is almost like saying 'I'm watching you back, so don't glare at me! ", and I've always liked the idea of this, despite not being much of a superstitious person myself. The necklace arrived carefully packaged in a gift box and it looks even better in real life than it did online on the website. I love it! 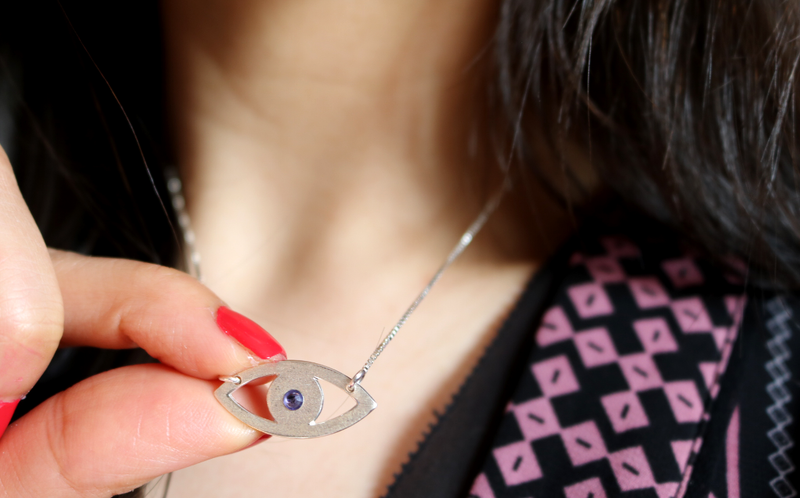 I chose to have the Evil Eye Necklace personalised in a number of ways and I'm thrilled with the final result. 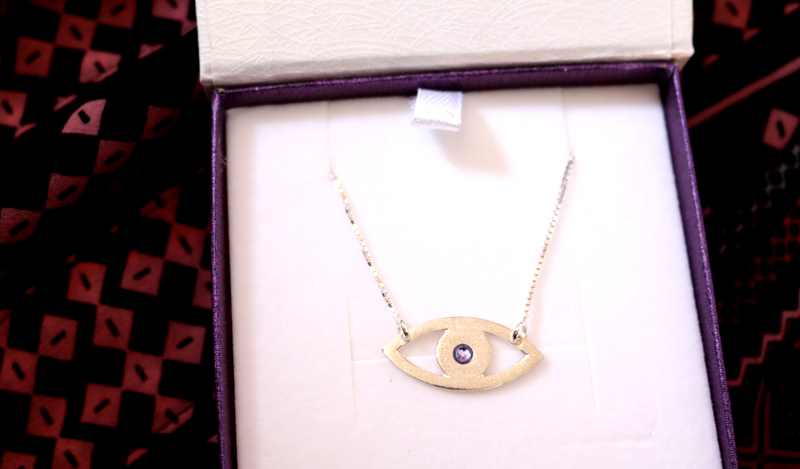 First, I chose the material as Sterling Silver (you can also choose to have this design in 24K Gold Plated or Rose Gold), the chain length as 18", the chain itself to be a 'box' chain, and finally, I added my Birthstone Alexandrite to be the centre of the eye which I feel goes really well with the Silver. Do you like personalised jewellery?